When it comes to skincare nspa offer a selection of skin loving products that not only smell great but will efficiently cleanse and nourish your skin. 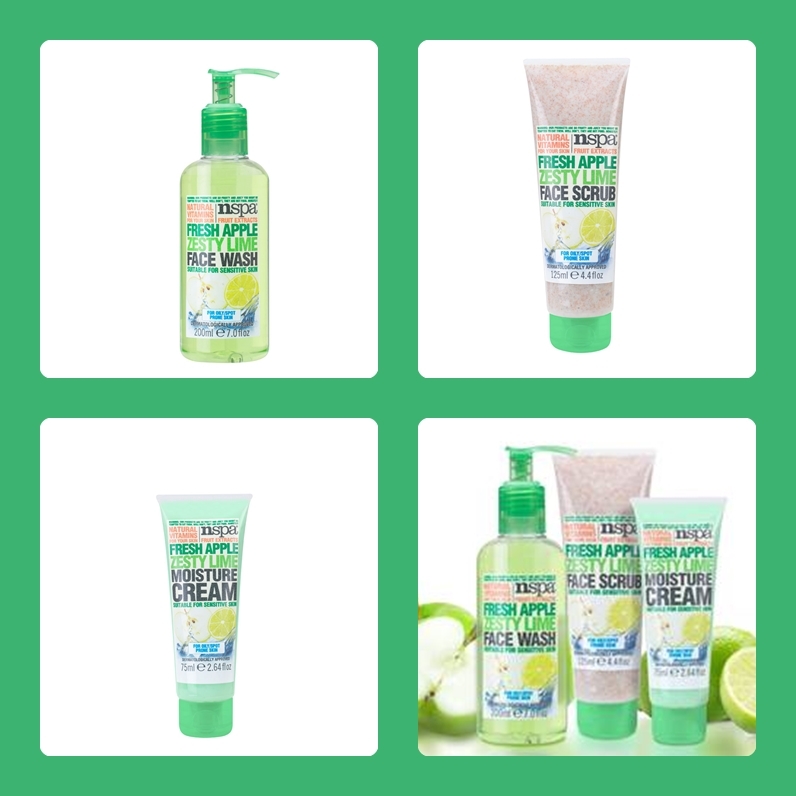 The fresh apple and zesty lime skincare set consists of a face wash, face scrub and moisture cream. All three products are packed full of natural skin loving vitamins and antioxidants that your skin will appreciate, even suitable for the sensitive skin type. 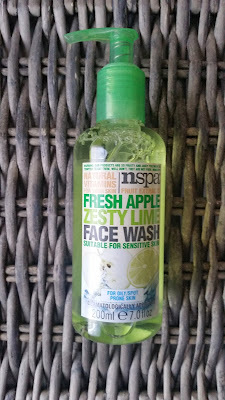 The 200 ml face wash which can be accessed by the pump on the green bottle and smells really delicious! Remember this is a skincare product and not any sort of food type or liquid, it smells that good. The lightweight gel instantly feels refreshing when applied to a wet face and lathers really well to cleanse deep down into those pores. There is no residue left on your skin and i felt my skin had been thoroughly cleansed and refreshed with that lovely fresh apple and zesty lime scent awakening my senses, great for the morning when u need a quick wake me up! 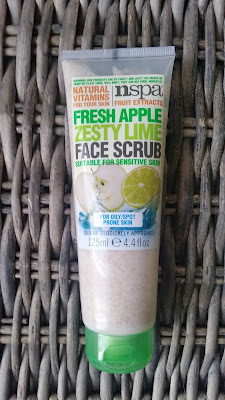 The face scrub is great for exfoliating away those dead skin cells and in this 125 ml tube you wont be disappointed. In this lightly scented, compared to the face wash, almond and apricot exfoliates help to achieve the task in revealing healthy skin by buffing away the dead skin cells. A little of this scrub is all u need to cover your face as the consistency is thick but soon disperses when moved around. 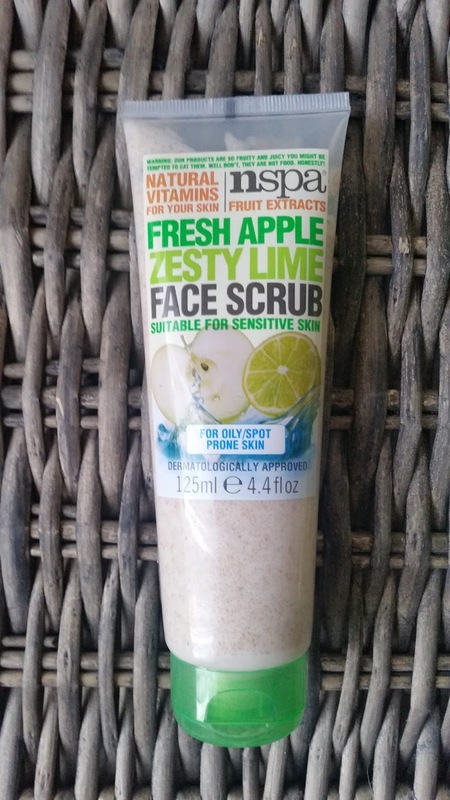 I really like this scrub as its packed full of exfoliates that are gentle but effective, which is why you can use this everyday. 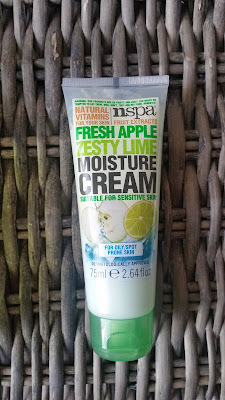 The 75 ml oil free moisture cream was a real surprise on how well this just sunk into the skin and was absorbed fast! This glides over skin with ease and with added willow bark your skin will be left soothed, conditioned and improved with a shine-free complexion. Did i mention this smells great?! 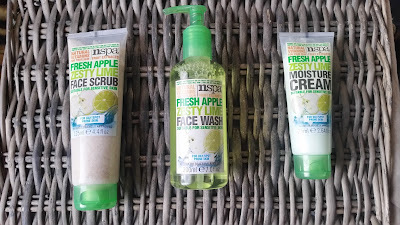 I really love this fruit extract skincare set. Not only are nspa products affordable but they are kind and efficient to use on your skin, what more could you want? Thank you nspa for the opportunity to blog about your products. X Neal.